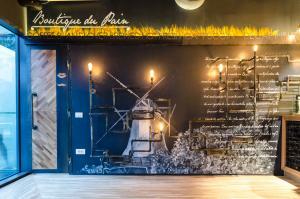 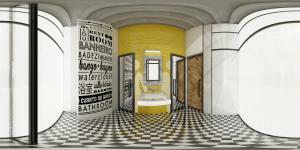 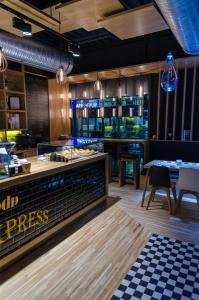 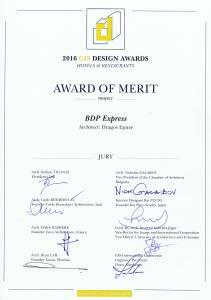 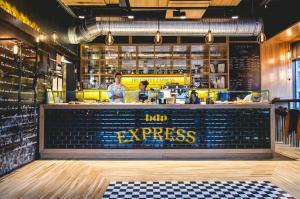 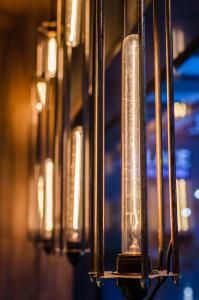 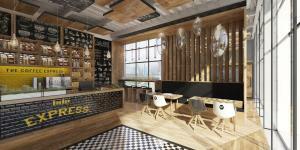 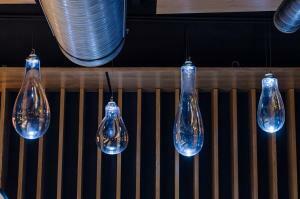 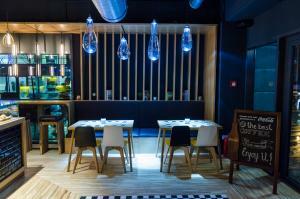 BDP Express is the second venue of Boutique Du Pain Bistro in Bucharest, Romania. 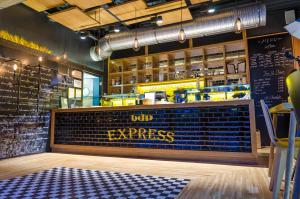 Located in a busy area of the city, surrounded by corporate offices and a large shopping center, BDP Express is a mouthful of fresh air. 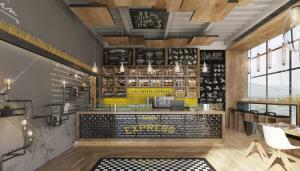 The idea behind the new design was to bring the company’s signature products like coffee and pastry to the busy scene and offer a fresh and welcoming but also urban feel. 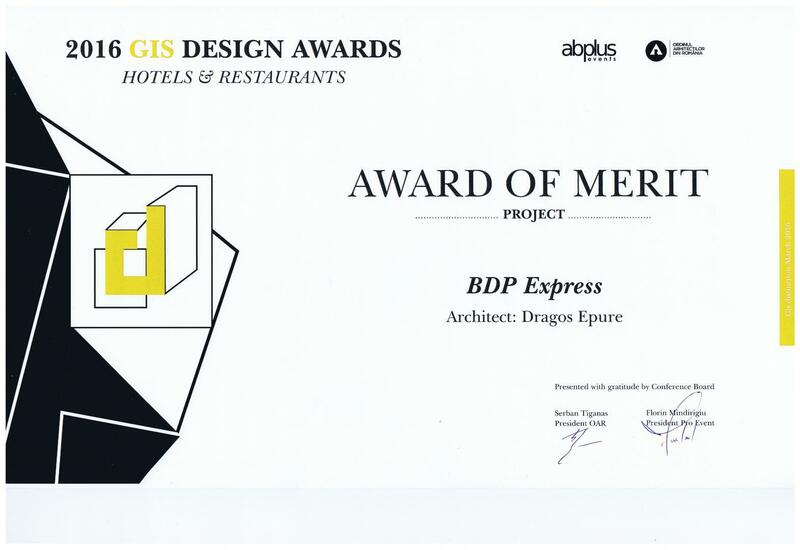 The concept brings together characteristic elements from the original design of BDP, maintaining the personality of the brand and adding a touch of the city life from the surrounding area. 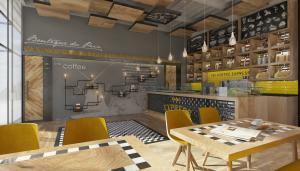 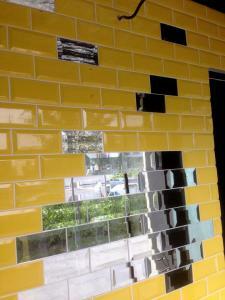 The atmosphere is welcoming and lively, filled with the morning scent of freshly grounded coffee and baked goods.